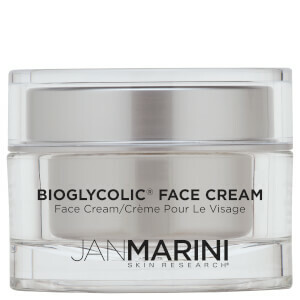 The Bioglycolic Facial Cleanser with Glycolic Acid is a gentle cleanser suitable for all skin types. This formula is soap-free, non-irritating and rinses completely without the need for a post-cleansing toner or astringent. This thorough, deep-cleansing product also contains Sorbital, a natural humectant derived from berries, that leaves the skin soft and hydrated. 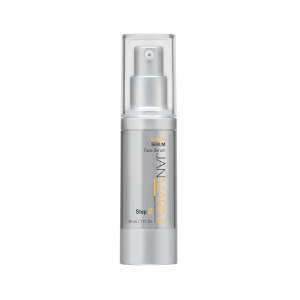 Contains Glycolic Acid as a follicular cleansing aid and resurfacing agent. Enhances the benefits of other Glycolic Acid preparations. Thorough and deep cleansing action. Naturally derived humectants leave skin soft and hydrated. Spread an amount about the size of a quarter over dry skin. Massage gently over skin. Water may be added at this point. Remove with clean washcloth and splash 15 to 20 times with tepid water. Blot dry. May be used in morning and evening. Do not use as a makeup remover. I bought this for my 32 year old daughter who suffers from acne breakouts due to stress of her engineering job. She really likes it and is beginning to see some improvement in her facial skin texture. She will continue to buy the product.. I have used the product for over 5 years and will not use anything else. It takes care of breakouts immediately. This product is very effective and highly recommended. I have been using it for years. It is great! When I received this cleanser I also got a sample that I thought was an exfoliating cream. So I put it on my face and went to bed. Well, turns out it was a self tanner (duh!) and I woke up orange. I didn't know what to do so I put this cleanser on and let it sit for about 3 minutes and wiped it off with a wash cloth. I was amazed by how much of the tanner it took off. I did that again that night and the next morning and the tanner was gone and my skin looked great. Now I use this cleanser in the shower the same way every morning and I can't believe the results.When I read the reviews for this I thought "seriously people? it's just a cleanser", so I wasn't expecting much. I am SO happy (and shocked) with the results. I would've described my skin before as "congested, sundamaged, acne-prone." It is much clearer and smoother now. I purchased this cleanser after another cleanser I was using was not available for purchase by the public (only distributed by a Physician now) and after another product made my sensitive skin break out in a rash. This cleanser cleared my skin immediately. I was SO impressed with the results! I can't believe it worked so fast. I was also VERY pleased to know that this brand does not test on animals. 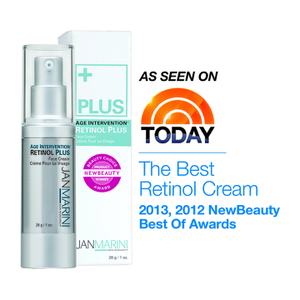 I am hooked on Jan Marini products and will keep this as my go to skin regimen. I can't wait to try other products! Staple! Milia Control at it's Finest! Recommended to me by my aesthetician a couple years ago and has been a staple in my regimen since then. If I'm ever out of it and don't use it for a week or so I can immediately tell a difference in my skin. It has help control the problem I have had with milia since being a teenager. You will see a difference in the first to weeks in the reduction of milia.Tip: Leave it on your face for 3-5 minutes before you rinse. I have been using this product for over 4 months now. 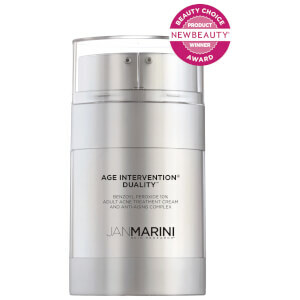 Jan Marini products are the first products that have ever left me completely content and happy about a purchase. I have struggled with moderate acne since I was 14 years old. I have been on a continuous search for a product line that really makes a difference. Needless to say I think I have found it. (knocking on would as we speak) Now, back to this product. Once I have removed my makeup with a mild gel cleanser, I dry my face and then proceed to apply this Bioglycolic cleanser and I let it sit for approx. 3 minutes. Then I rinse, spot treating with Yon Ka, and then apply the Bioglycolic Bioclear Cream. I broke out for the first 3 weeks and decided to stick with it, finally my face started to clear up and has been almost completely clear with the occasional blemish. (Nothing like before). Also my skin is no longer dry and I can finally apply makeup without having to spend 40 minutes using tweezers to remove flaky skin. I hope it continues to work wonders and am thrilled to have finally found a product like that make me happy. I bought this cleanser because of the amazing write-up, but I am not very happy with it. First of all, it contains paraben, something I have a sensitivity to, also it's a little too gentle. It does not remove eye make-up. It has a very similar consistency to cetaphil, and no smell. My face feels exactly the same after I use cetaphil, but I can buy that for 1/3 of the price at my local CVS. Would not reccomend.